As living spaces get smaller people are looking for a saving space alternative, in order to make life a little less cramped. Karen Babel has come up with the perfect solution – The Book Case Bed. This innovative design consists of a mattress that can stand upright and surround five storage shelves on the wall, which hold the books. When it’s time for sleep, the mattress sections are taken down and slotted together on the floor to make a single or double bed. For her creation, Karen Babel won the prestigious New Designers KBSA Award, and it’s easy to see why. If you like this trend, you might also like Hidden Spaces or Let It Be. Local produce is getting a stylish make-over in Hamburg, Germany, with The Deli Garage combining with design agency Korefe to create some gorgeously cool and quirky product packaging. An example of such brilliance is Kraftstoff Vodka, whose flasks feature charmingly endearing designs. The vodka itself is highly unique, with unusual flavours such as melon-mint, ginger-coriander and espresso – no plain old vanilla here! Available from The Deli Garage website, these flavours and their packages are sure to delight for a long time. Luxury is the name of the game for the designers at Lomme (which stands for Light over Matter Mind Evolution). Their opulent bed comes with every possible feature to ensure a unique, calming and relaxing sleeping environment, such as a light therapy alarm clock, sound system and a mattress with an in-built massage function. Lomme’s mission is to create the most relaxing and natural place for you to restore energy, using light, colour, sound and touch, resulting in complete rejuvenation, making you a healthier person when awake. Though, this bed is so good you’ll probably never want to wake up! Solar energy is the thing to do, with the Kaohsiung Stadium in Taiwan built around the concept. Built for The World Games 2009, this stadium’s roof boasts 8844 solar panels, generating an impressive 1.14 million kWh of electricity each year, reducing a massive 660 tons in carbon dioxide output. When not in use, surplus energy can be used for up to 80% of the surrounding neighbourhoods when the stadium is not in use. This natural electrical engineering feat was designed by Japanese architect Yoyo Ito, and is sure to be a trend-setter in regards to stadiums and solar energy possibilities. Being safe as well as stylish is the motto that the Yakkay Bicycle Helmets strive to ensure. Designed to fit you perfectly, with the help of adjustable spaces, all Yakkay Bicycle Helmets come with trendy covers, which are easily slipped on over the helmet, giving the impression that you’re wearing a hat rather than a bulky head gear. 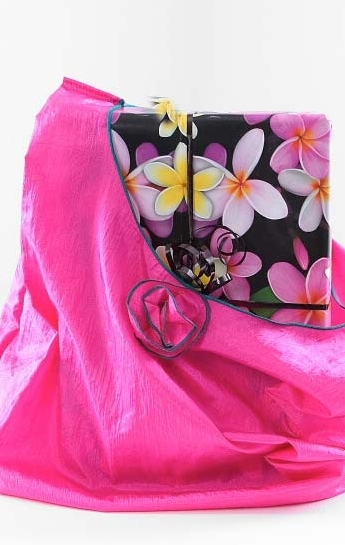 The covers come in a range of different styles, ensuring that you can choose the one that most suits your tastes, or have as many as you want. Currently only stocked in Europe, you can check out these cool headpieces online. Congratulations to Linda Urbick, the June winner for our newsletter draw. 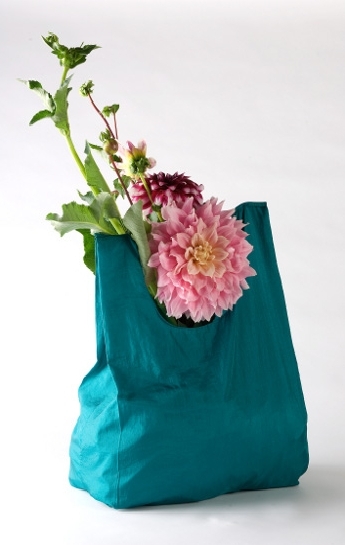 Linda is the lucky winner of a $50 voucher for EcosilkBags.com.au, a Sydney based bag design online store. 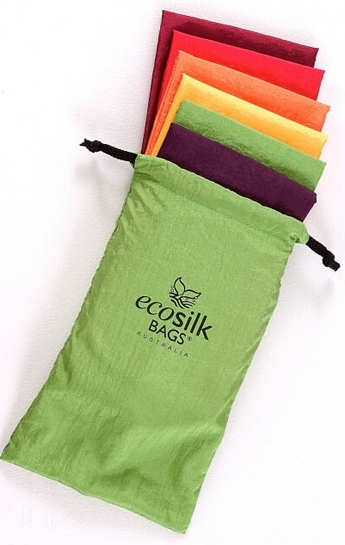 The EcosilkBags team creates beautiful, functional and environmentally friendly products. Stay tuned for the next draw! For footwear that literally fits like a glove, look no further than Vibram’s FiveFingers, which cater for individual toes. Designed to help you when exercising, playing or just doing normal, everyday activities, these shoes stimulate the muscles in your feet and legs, making you feel like you’re walking on air. A shoe that feels like a second skin, FiveFingers will surely become the new craze in comfortable footwear. If you like this trend, you might also like 'Footwear that fits like a glove' , 'Put Your Best Shoe Forward' or 'Skis Too Good for Skiing'. The long-loved mini bar has gotten a makeover, with Urbancase’s Melli Compact Lounge. This small and user-friendly design is easily mountable on the wall, with a drop down door serving as a small table for mixing drinks of your choice. This amazing invention has storage space for bottle, glassware and all the tools you could possibly need to get your own mini bar up and running. Start your pub today, with this slim-line bar beauty. Toilet-training toddlers around the globe have no reason to fear the bathroom again, with the arrival of Pee&Poo. These cute and cuddly characters are the genius of Swedish graphic designer Emma Megitt, as part of her Masters Degree program. Her award-winning logo has spawned a number of different creations, including wallpapers, temporary tattoos, shirts and undies, and even keychains. By making these once embarrassing bodily functions into fluffy toys, life for parents of potty-trainers has become a little bit easier.